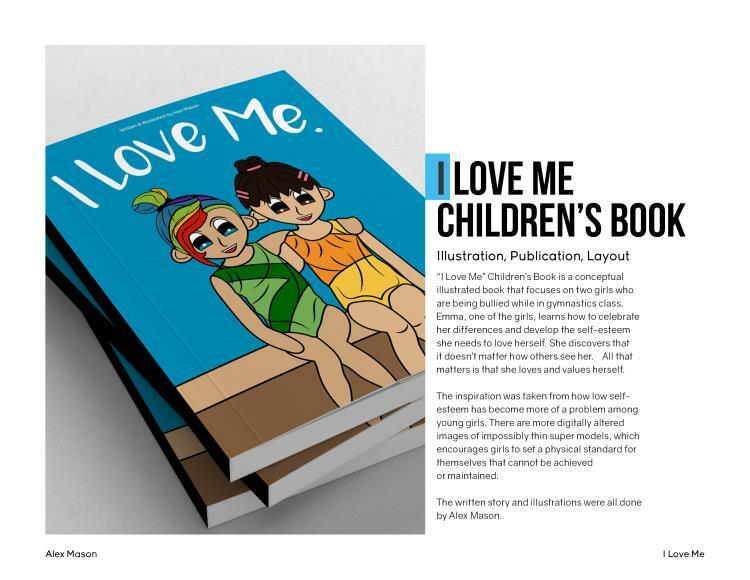 “I Love Me” Children’s Book is a conceptual illustrated book that focuses on two girls who are being bullied while in gymnastics class. 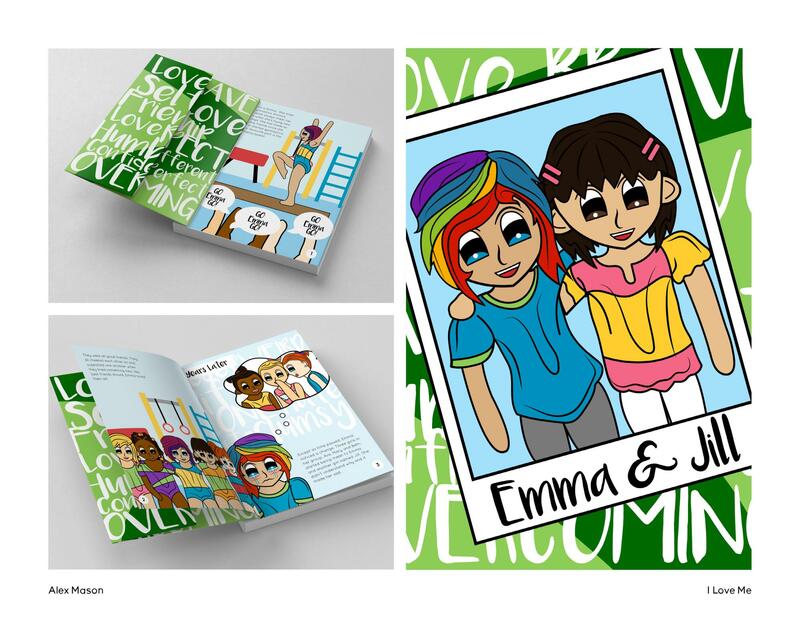 Emma, one of the girls, learns how to celebrate her differences and develop the self-esteem she needs to love herself. 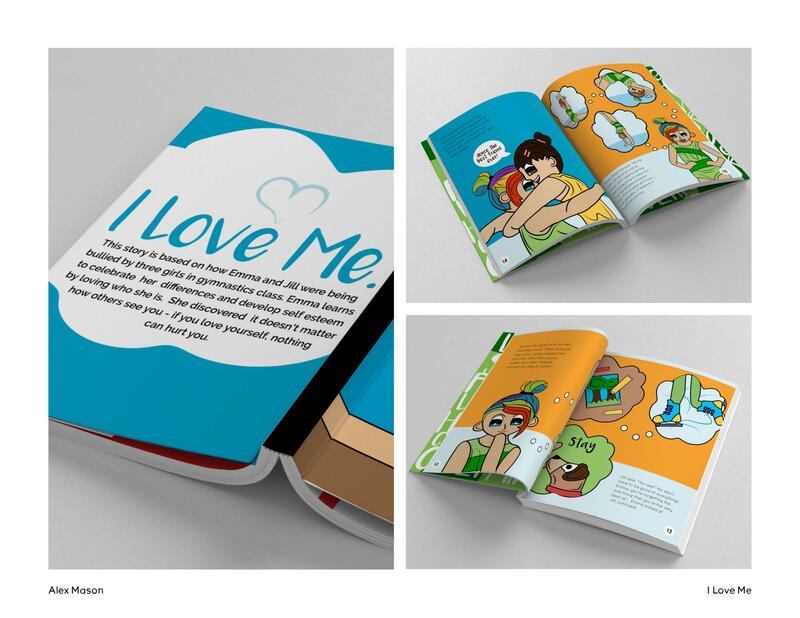 She discovers that it doesn’t matter how others see her. All that matters is that she loves and values herself. The inspiration was taken from how low self- esteem has become more of a problem among young girls. There are more digitally altered images of impossibly thin super models, which encourages girls to set a physical standard for themselves that cannot be achieved or maintained. The written story and illustrations were all done by Alex Mason.